There’s no doubt that installing a tracking device on your car in South Africa is a good idea. While it isn’t mandatory, reputable companies offering vehicle finance in South Africa recommend that you do. We at Earn-A-Car can go a step further and install your tracking device before you drive away with your rent-to-own car – at no extra cost. It’s just one of the ‘extras’ we offer. 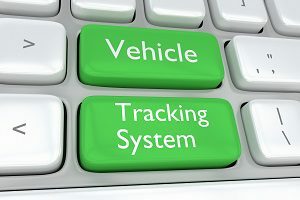 Vehicle tracking systems use GPS to track your vehicle’s location in real time, showing the direction it is going and the speed. On your car being reported stolen, recovery teams are activated immediately. They will get your car, and the valuables you may have in it, back for you! Tracking devices are easy to install. So, why not drive away with the peace of mind that should your new vehicle be stolen, it can be easily recovered? With the cost of the tracking device and the tracking and recovery service that comes with it included in your monthly premium, there’s no reason not to. Earn-A-Car offers the most affordable motor vehicle ownership in South Africa. With our simple ‘Rent to Own’ vehicle solution, we are geared toward providing for those who are unable to get car finance with bad credit. All you need is your proof of income that shows you can make a simple monthly payment of between R3 000 and R6 000 a month and a down payment amount of R16 500. You can own your own car in as little as 54 months. Contact us at Earn-A-Car today to view our range of quality pre-owned vehicles, and find out more about how we can help you with the best alternative car rent to own solution in South Africa – inclusive of the installation of tracking devices.